The Edward T. Gignoux United States Courthouse in Portland. Teenagers often don’t fully grasp the legal consequences of their actions — whether it’s using a fake ID or bringing marijuana from Colorado, where it’s legal, to a state where it’s outlawed. So a national program aimed at educating teens — the next generation of potential jurors — about good decision-making and civil discourse will be offered in federal court in Portland beginning next month. If successful, it could be offered in Bangor starting this fall. As part of the program, students also deliberate as jurors in a First Amendment case involving social media. And they learn whether they correctly answered the 10 true or false scenarios involving possible crimes. The teens will practice civil discourse skills following the courtroom exercise in which some students acting as attorneys will make oral arguments before a federal judge. The jurors then will deliberate before rendering a verdict. U.S. District Judge Jon Levy and U.S. Bankruptcy Judge Peter Cary will act as judges in the program. Local attorneys will coach students acting as lawyers, and another attorney will act as moderator for jury deliberations. “This is a wonderful way to give our students an experience that will allow them to grow into active, engaged U.S. citizens,” Levy said Friday. 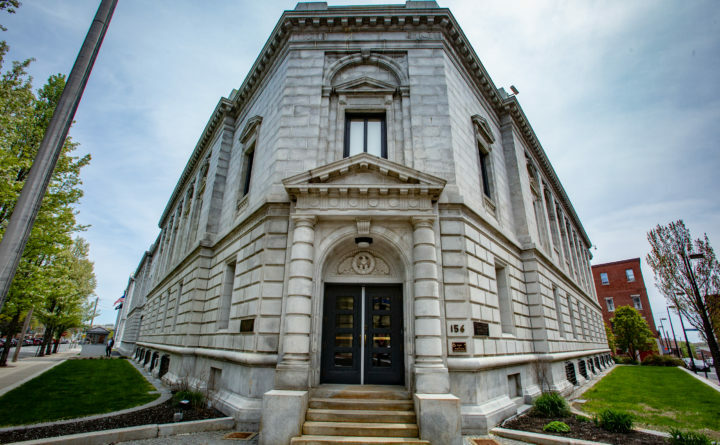 Zachary Heiden of the American Civil Liberties Union of Maine, who will coach student attorneys, said the program is important because the public has lost an understanding of what goes on in the nation’s courthouses. On May 20, students from Oxford Hills High School will become the first to try out the program. At the end of it, they will learn that buying a fake ID on the internet using someone else’s identity is a federal crime. For information, call U.S. District Court Clerk Christa Berry at 780-3356 or email Christa_Berry@med.uscourts.gov. The website for the program is: https://www.uscourts.gov/educational-resources/educational-activities/civil-discourse-and-difficult-decisions.